The Township of Ocean is a suburban community in east central Monmouth County. Today, its 11.1 square miles encompass the geographic sections of Wayside, Wanamassa, Colonial Terrace, West Allenhurst, West Deal, Deal Park, Oakhurst, Shadowlawn Manor, and Elberon Park. But history reveals that the Township's Boundaries once embraced sixteen of its neighboring communities and included much of Monmouth County's coastline. Our community is commonly referred to as Ocean Township. Officially, however, it is the Township of Ocean. (The distinction is useful in avoiding confusion with Ocean Township, Ocean County.) Throughout this book, any reference to Ocean Township will mean the Township of Ocean. The Township of Ocean Historical Museum collects, preserves, and displays artifacts, records, and memorabilia, telling the story of the township. For more information, visit the website. Legend holds that before any political boundaries had been drawn, before the first white man had claimed the area for his sovereign, the Lenni Lenape, a branch of the Delaware nation, were spending summers on the Monmouth County coast stockpiling fish and game to carry inland to sustain them through the winter. Relics and artifacts unearthed at Cold Indian Springs in Wayside and on Deal Test Site (now Joe Palaia Park) in Oakhurst support the presence of Native American campsites in what we now know as Ocean Township. Henry Hudson encountered the Lenni Lenape when, in 1609, he sailed his ship The Half Moon into Sandy Hook and claimed the entire area for the Dutch. The Dutch lost control of the area to the English in 1664. 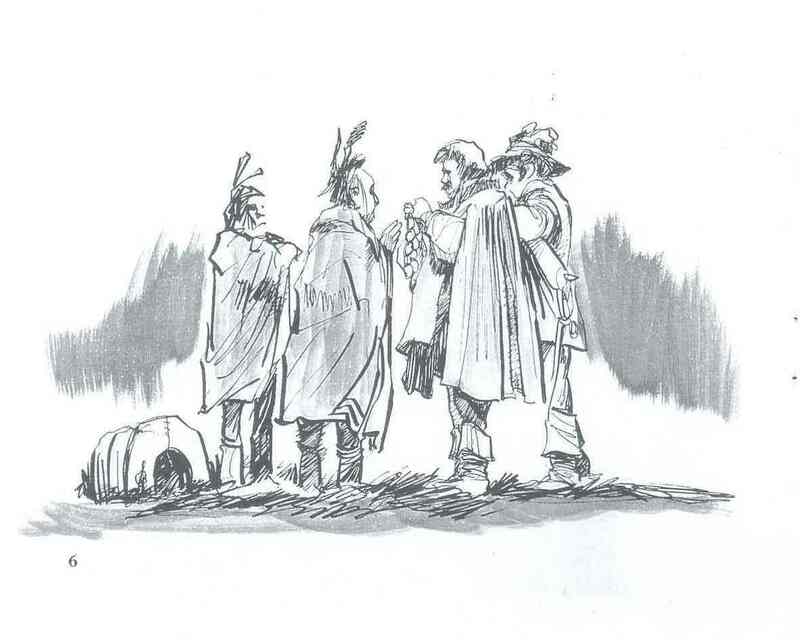 In 1665, the first white settlement of Monmouth County and Ocean Township began under the provisions of the Monmouth Patent, a document that encouraged the development of central New Jersey and required that the patentee pay the Native Americans a "good and honest" price for their land. The first land owners were generally Quakers and Baptists in search of religious freedom. Among these Associate Patentees of Monmouth were a group from Rhode Island including John Slocum, Joseph and Peter Parker, and Eliakim Wardell, who settled in the Ocean Township in 1668. The lack of roads other than Native American trails kept the area isolated through the first part of the eighteenth century. Farmers were self-sufficient and traded skills and major work with their neighbors. Hunting and fishing supplemented their harvest. Surplus farm products were sold or traded for sugar, tea, and hardware at the docks in Oceanport. The nearest village was Shrewsbury, where settlers went for town meetings, marriages, and funerals. In 1693, Monmouth county was divided into three townships. Shrewsbury, one of the three, encompassed all land south of the Navesink River. The Township of Ocean remained a part of Shrewsbury until 1849. Under British control, the colonies could not engage in manufacturing. After the Revolution, the growth of New York as a business and manufacturing city created a demand for goods to supply the needs of people and industry. Bog iron from New Jersey was exploited in the rush to fill the needs for iron machinery. The heavy wagons from the Howell Iron Works rumbled over the back roads to the docks in Oceanport. 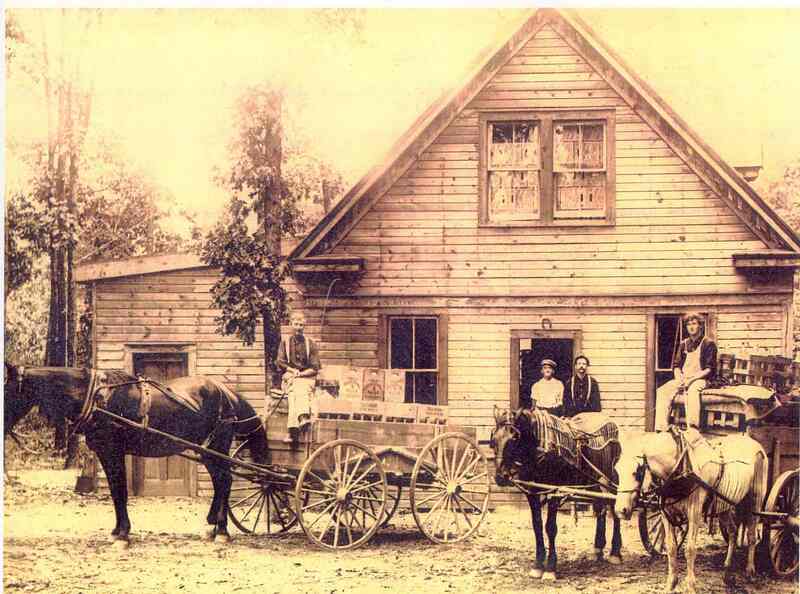 In Centerville (Wayside) a halfway house served the drivers and their animals as they traveled along Green Grove and Wayside Roads. A blacksmith and carriage shop emerged in repsonse to loyal traffic. Manufacturing also required charcoal. Large pits lined the banks of Deal Lake as the untouched woodlands were turned into charcoal. As the roads improved, mail and travelers reached once remote areas to conduct business. The peddler and traveling craftsman were common in the early days of the community. The earliest village in the Township was Oceanville (Oakhurst). 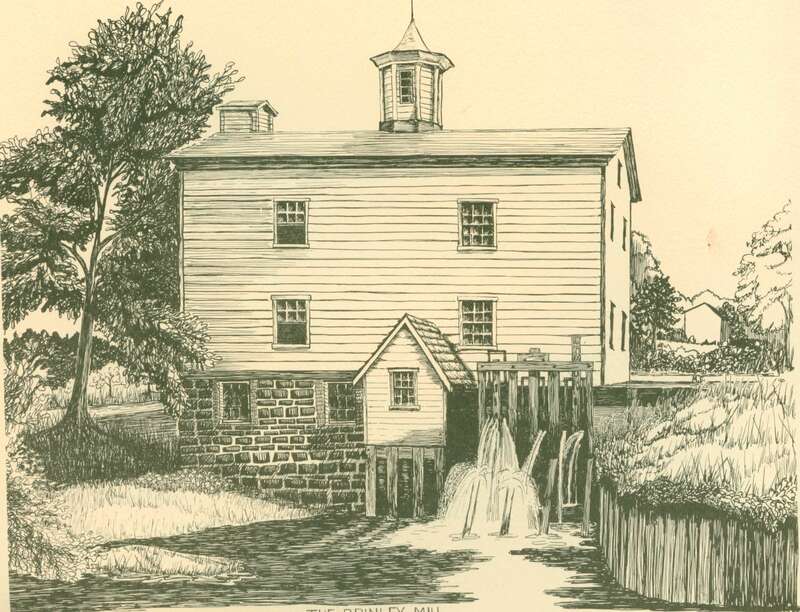 A mill and a tavern were operating by the earn 19th century and in 1829 a Philadelphia doctor was bottling water from Whalepond Brook and selling it to the first vacationers in the growing resort of Long Branch. The Long Branch Mineral Spring Company is gone, but the building that housed a hotel and tavern still stand on Monmouth Road at the foot of West Park Avenue. 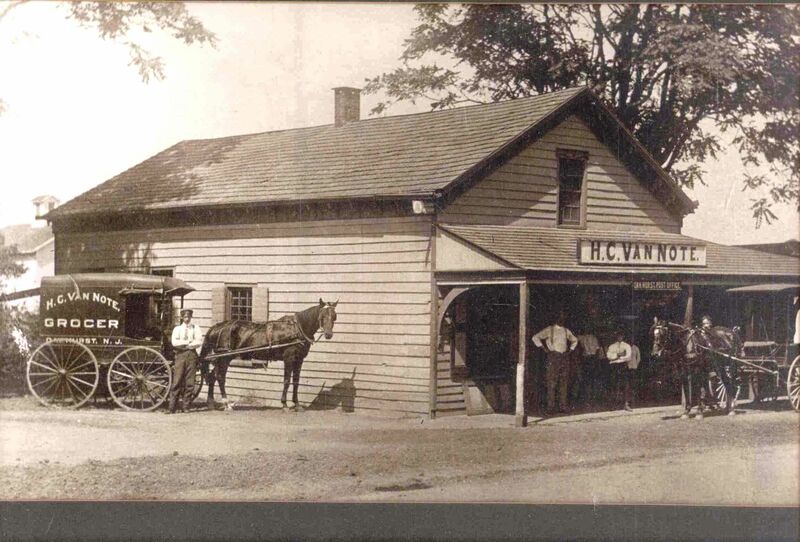 By 1849, a general store, a blacksmith shop and a wheelwright shop were contributing to the growing Oakhurst economy. By the middle of the 19th century, eastern Monmouth County had outgrown its single township government. The burgeoning populations and developing businesses of the lands incorporated into Shrewsbury a century and a half before required government more responsive to local needs. It included all lands from Sea Bright south to the Shark River and west to encompass Eatontown and Neptune. Growth and development continued. Communities within the incorporated boundaries of the Township of Ocean themselves began to require more parochial representation. In 1867, residents of Long Branch formed the Long Branch Police, Sanitary and Improvement Commission, but the community remained part of the Township of Ocean until 1904. In 1873, Neptune seceded, taking the land that is now Asbury Park, Ocean Grove, Bradley Beach, Avon, and Neptune City. Six other municipalities which today neighbor the Township of Ocean were once within its borders: Sea Bright (seceded in 1889), Allenhurst (1897), Deal (1898), Monmouth Beach (1906), Interlaken (1922), and Loch Arbour (1957). Curious reminders of this lineage remain. The name Township of Ocean for our 1and—locked community seems more appropriate in recollection of two centuries of its bordering the Atlantic from Sea Bright to Shark River. Our former boundaries explain why several small, uninhabited islands in the Shrewsbury River near Sea Bright remain, nearly a century after the secession of surrounding town, under the jurisdiction of Ocean Township. In the last half the 19th century, Long Branch emerged as a major national resort. Beginning in 1856, rail service carried travelers from Philadelphia. Steamboats brought New Yorkers to docks at Atlantic Highlands and Long Branch. Wealthy families built summer "cottages" in West End and Elberon. Estates appeared along Park and Norwood Avenues. Three Presidents -- Grant, Hayes and Garfield -— chose Long Branch as their summer capital while that community was still a part of the Township of Ocean. Oakhurst, having emerged the century before as the first of the township's villages in response to the traffic along Monmouth Road (Mechanicsville-Oceanville Turnpike), now became home to tradesmen and craftsmen who served the resort mansions along the nearby shore. Oakhurst's growth was boosted by a Newark newspaper that deeded small lots in the area east of Whalepond and south of West Park as subscription bonuses. Small shacks were constructed as summer homes on these properties. During the Depression, many families lost their homes in the north and were forced to move permanently to these modest shelters. Few if any of the original buildings remain, but many families who migrated to Oakhurst during this time remained to shape and build the community. While Oakhurst was evolving as a commercial and residential community, Wanamassa and Wayside remained rural. Produce from the farms of Wanamassa was sold along Logan Town Road (known today as Logan Road) which continued beyond its present end at Deal Road to what has become Route 35, north to Kings Highway and on to Eatontown. Logan Town Road was at one time the main stage coach route from the Neptune area (then known as Logan Town) to Red Bank. Residential development began in Wanamassa after the turn of the century. In 1907 some 250 lots were sold from a tract owned by the YMCA along Wanamassa Point, north of Sunset. The success of this enterprise led to more bungalows built by the Wanamassa Realty Company south of Sunset Avenue. But the building boom that dramatically and permanently changed the character of the township began in the l940's. Returning veterans, attracted by township schools and the area's expanding job market, financed with G.I. mortgages, bought homes being built in the open spaces of Ocean -- particularly Wanamassa. Shops and businesses sprang up to service the needs of the growing population. By mid-century, Wanamassa, like Oakhurst, had evolved into a densely populated residential community served by several small commercial districts. During the same period, other neighborhoods of Ocean were emerging. Building began in West Allenhurst in the 20's. The first homes appeared in Shadowlawn Manor in 1928. Growth in Elberon Park was spurred when Sears Roebuck constructed a half dozen homes in that area. Not until the 50's did development reach west of Route 35 into Wayside. Farm lands and open spaces gave way to homes. Businesses lined the highway. By 1970, the Township had given approvals for nearly 3000 apartment units (about 30% of the Township's residential dwellings) to be constructed along Route 35. Between 1849 and 1957, the Township's area shrank to the borders we recognize today. Sixteen independent municipalities have emerged from the Township as it was 200 years ago. But the Ocean Township that remains is itself a community of traditionally independent neighborhoods. 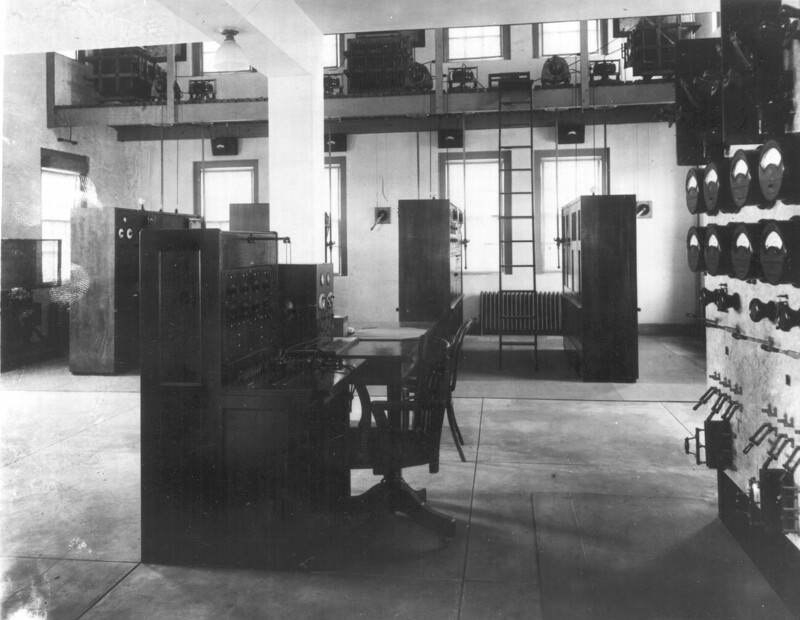 Different mailing addresses, ZIP codes, and telephone exchanges characterize many of our nine geographical sections. Where does West Deal end and Wanamassa begin? The boundaries for Ocean's neighborhoods have been variously drawn by the U.S. postal system, the phone company, and tradition. Although unofficial and often confusing, the sectional distinctions persist. A resident is as likely to identify himself as living in Oakhurst or Wayside, for example, as he is as living in Ocean Township. But as the services and facilities of the Township grow along with its population, a sense of community emerges. The High School, opened in 1963, the community pool complex, established in 1975, along with other community institutions and programs serve to reinforce a single Township identity. Although in a general way, Route 35 separates Wayside from the neighborhoods to the east and Deal Road delineates Oakhurst from Wanamassa, etc., these same well-traveled roads join us and our facilities.